The Joint Industrial Council (JIC) is the highest consultative organ of the Corporation. The JIC comprises Management, the Trade Unions that operate in the CDC, Workers’ Representatives and Labour Administration as Observers. An extra-ordinary Joint Industrial Council meeting held on Thursday 29th November 2018 at the CDC Boardroom, Bota – Limbe. The discussions centered around 1) the Restructuring of the CDC, 2) the socio-political crisis and 3) Resumption of activity – the way forward. >>Read More>>. 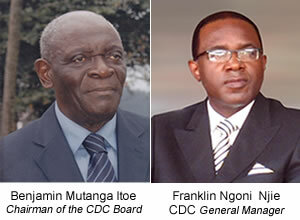 Conscious of the ongoing difficulties faced by the Cameroon Development Corporation (CDC) as a result of the current socio political unrest in the North West and South West Regions, acknowledging the fact that ten of our estates are almost entirely shut down, putting over ..>>>Read More>>. The Cameroon Development Corporation is an Agro-Industrial Complex that grows, processes and markets tropical export crops. It operates in Cameroon in the Central African sub-region. It is a parastatal company with curent share capital of 35,718,806,000 FCFA, and its operations are coordinated by the General Manager and governed by a Board of Directors presided by a Chairman. Currently, its plantations cover a total of approximately 42,000 Hectares of land, 38,000 Hectares is mature and of production stage. 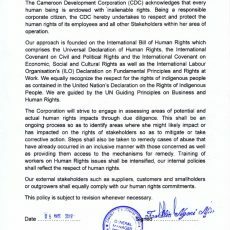 The corporation constitutes a workforce of over 22,036 employees, including temporary workers, making it the second highest employer after the state of Cameroon. Its major products include banana, semi-finished rubber, palm oil and palm kernel oil. 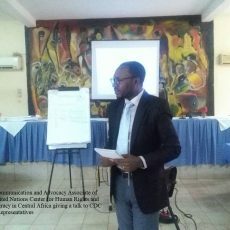 Interview of the General Manager of the C.D.C, Mr Franklin NGONI NJIE on the effects of the ongoing socio-political crisis on the C.D.C. First broadcast on CRTV, Cameroon Calling on August 5, 2018.